November is the time to get your pictures taken for the family Christmas card. I don’t design or offer Christmas cards, so I am making digital images available without the purchase of a print. That way you can use one of the many templates found online for your cards. Of course, prints will still be available, but for this special you will receive 2 high-resolution digital files of your choice. We will use 2 backdrops in a 40 minute session. This can include up to 5 people. The first 3 people who contact me will get an additional savings of $50. 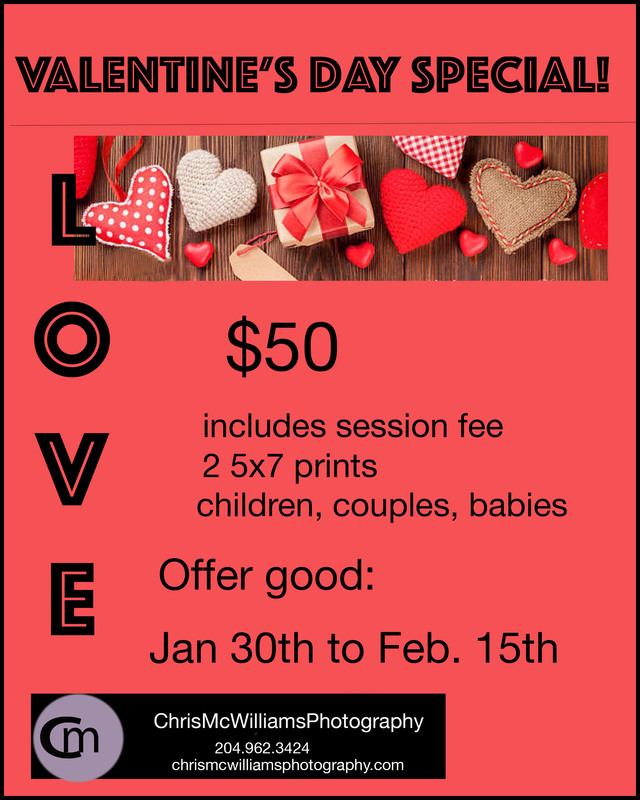 I will need a $50 deposit to reserve your spot and then an additional $30 when you come for the session; a savings of $50. 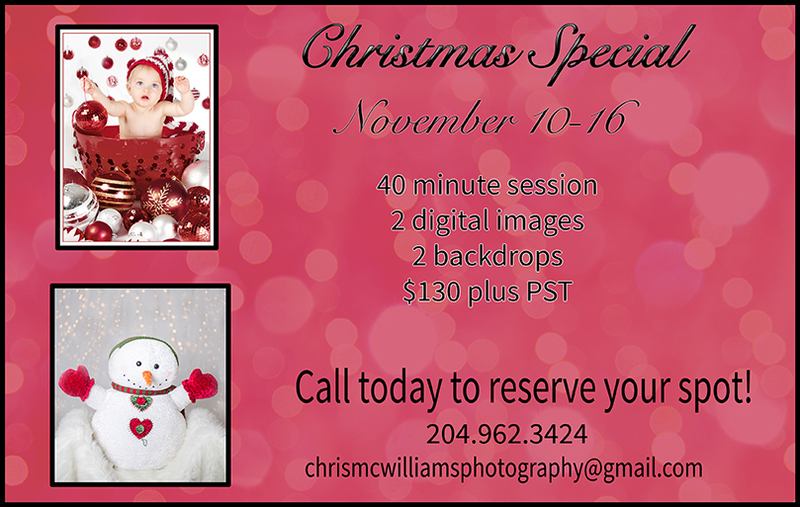 Don’t delay, as I will have a limited number of spots available. This does not include newborn sessions, as it would be nearly impossible to do a newborn session in 30 minutes. I had a very busy fall season this year and I want to thank all of the clients who booked a session, There are very few leaves left on the trees but if you are interested in an outdoor session in the next couple of weeks, I can find some spots with colourful leaves or evergreens as a backdrop. 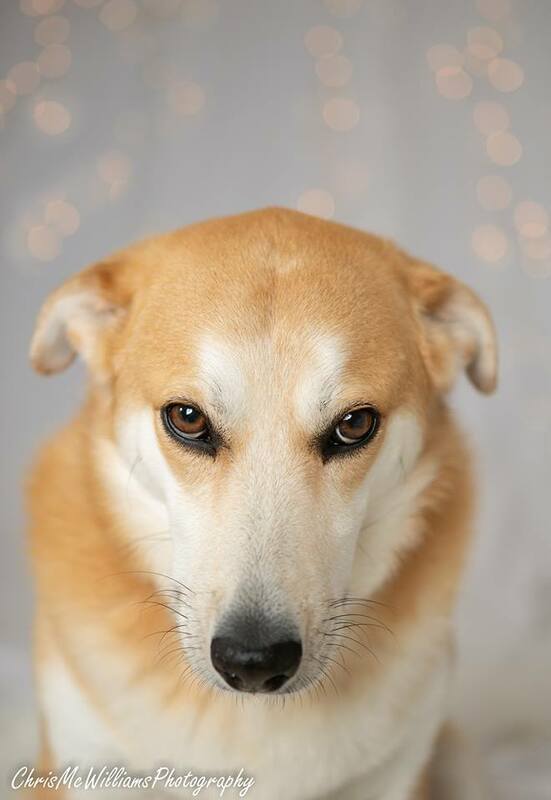 Many of you have met my dog, Zara. This week, I wanted to try creating a bokeh effect in the studio with some new lights. I didn’t have a model available, so I decided to use my dog. Our dogs are never allowed in the studio, so I had to put a leash on Zara to get her down there. The image below shows the look that Zara gave me. It’s the same look she has when she thinks she’s in trouble. It’s titled “Obedience with Disdain”. 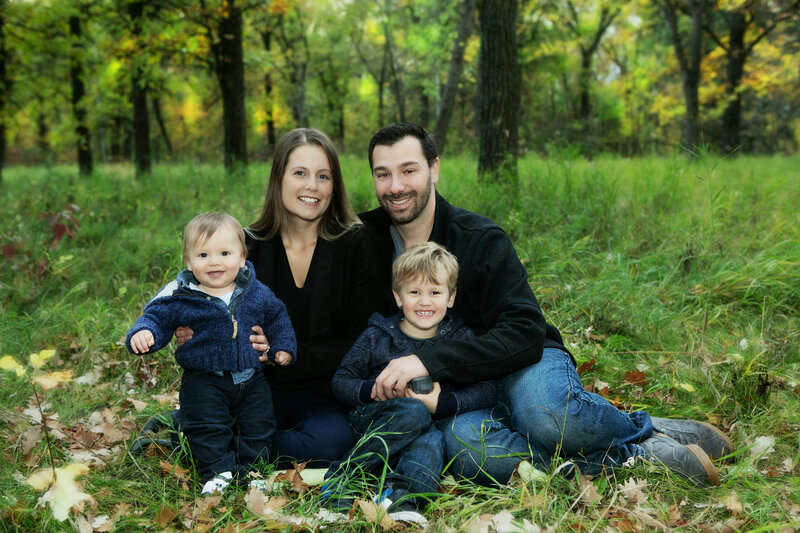 Saturday was the perfect day for some fall family photos and this group were the perfect subjects. I don’t get to King’s Park often but after yesterday, I might just make the trip more often. It’s been a very busy week here. I want to thank all of these families for braving the cold weather to do these fall sessions. I don’t think it’s going to warm up so I’m glad we did them last week. Here are six beautiful families! One Year Old Cutie Pie! Love this One Year’s Serious Expression! It was misty out on Wednesday but we went ahead with this session at the client’s house in Bird’s Hill. The rain on the leaves brought our the fall colours and the cloud cover made the light perfect for pictures! The best part of this session was seeing my work up on their walls as wall art. I made up the collage (seen below) of this session because there were way too many fantastic pictures. That was 7 years ago. I would love to see other pictures of how clients have displayed my work on their walls. family collage from 8 years ago! These are the new ones that we did this year-seven years later. First we have just the girls. Two very cooperative teens. Thank you for being such good listeners. Here is the whole family now. What a wonderful time I had with them! And don’t think look great!